Posted 08 months 10 days 04 hours 15 minutes ago. 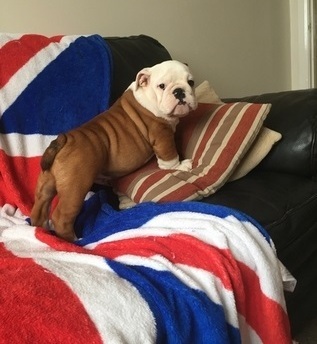 Superb litter of English Bulldog puppies fully KC reg with 5 generation pedigree certificate. Stunning chunky correct pups, Mum (Nancy) is red and white and Dad (Reggie) sable, both here on our smallholding with excellent playful temperaments, very good clean breathing and great looks. Very much our family pets. Nancy has done a sterling job raising these beautiful pups.